While me and my friends are playing tetris battle using my FB account. One of my friend invites me to play. At first we thought that she was just a beginner but after some time, she make like 6 perfect clears and knock's me out so fast. So we wondered if it is a hack or she just knew how to make a perfect clear. So us, my friends, were so curious about it and they are forcing me to find this hack so I googled it and surprisingly, there is a perfect clear hack. 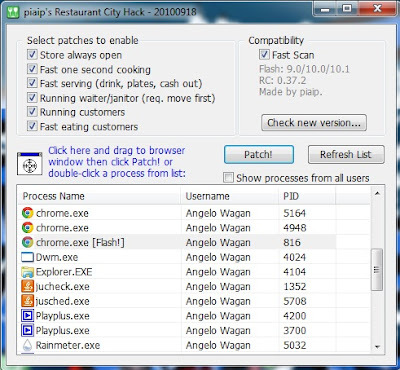 And the more that surprises me is that the tool used to make this hack work is the PIAIP's Restaurant City Hack Tool, one of my favorite hack when I play Restaurant city(I admit it, I'm a cheater in some facebook games :P). Since almost all of the visitor just view this tetris hack, I created a new blog that is only for facebook game hacks specially tetris battle. 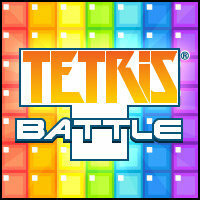 Three working Tetris battle hacks are already posted! Check it out here!! 2. After Downloading Piaip's RC Hack, Open and tick all options in "Select Patches to enable"
5. Go back to piaip's then click on patch! 6. DONE! Now you will see just 1 small square and you can make a perfect clear.